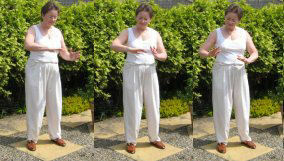 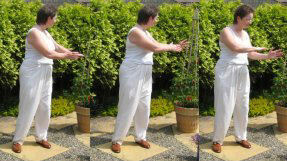 This chi gung exercise is used to relax the mind and body and once you get into the rhythm you can just let go of all external thoughts. 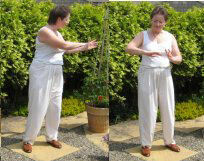 It looks as though one hand is a big paddle - the Autumn breeze - and it is simply pushing the pile of leaves from one side of the body to the other. 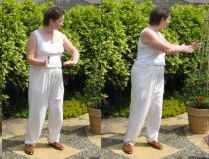 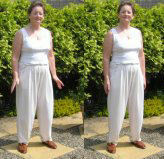 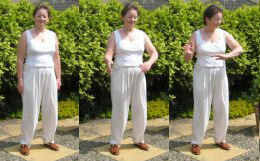 avoid waving your hands - you get the effect from turning the waist and letting your arms just follow!